Kidd’s Restoration & Cleaning Services provides carpet cleaning services for your home or commercial space. With our method, we use a hot water extraction to remove all the dirt and soil lodged in the carpet. Hot water extraction is one of the more effective cleaning methods, specifically for machine-made fibers. For your handmade fibers, the carpet can change characteristics if exposed to too much heat. Natural fibers such as wool can shrink, Velvet piled and Berber carpets will become fuzzy which is known as pile burst. The hot water extraction method is the preferred method of many manufacturers as it removes more dust and abrasive particles resulting in less wear and pile abrasion. Our hot water extraction equipment is also portable, allowing us to get anywhere in your home or business, including going up and down stairs. Portable extractors enable us to be quick and efficient while not needing to drag a large hose throughout your home or office space. If however, you had large amounts of water from say, a water pipe break, we do have a truck-mounted water extractor that can extract water very fast for you. Nylon Fiber – Nylon is very soft, durable, and resistant to stains and abrasion. The fibers are highly resilient and can be revived by steam-cleaning to restore much of their original loft. Nylon is the most popular materials and is in roughly three-quarters of all manufactured carpeting. Polyester Fiber – Polyester is prized for its ability to hold vibrant colors that do not fade much over time. The fiber is also non-allergenic. In many cases, this material is made from recycled plastic bottles, making it eco-friendly. Its main drawback is that it is prone to flattening underweight, making it a lousy choice for high-traffic areas. Polypropylene Fiber – Polypropylene is almost as soft as nylon. Also known as olefin, polypropylene fibers are similar to natural wool and often used as a synthetic wool substitute. This fiber is highly stain-resistant but is prone to soiling, or holding onto oils which in turn collect dirt. It is also not as resilient as nylon and is therefore commonly used for loop-style carpets, such as Berber. Wool Fiber – Wool is a natural, luxurious, long-lasting material that is the softest fiber you can find. Unfortunately, low-grade wool is more susceptible to staining, while high-grade wool is extremely expensive. Some manufacturers combine wool with synthetic fibers to create a carpet with the benefits of both. Loop Pile – Also known as “Berber pile,” uncut loop pile leaves the entire yarn loop intact on the surface of the piece. The loop pile tends to be highly durable, easy to clean, and resistant to stains, making them perfect for high-traffic commercial applications. Uncut loop pile also don’t show indentations caused by footprints and vacuum marks. Cut Pile – Cut pile typically produces very soft, and inviting carpets that are easy to clean. Different styles can be created by changing the angle of the shearing that slices the loop, or by using different treatments on the thread before and after it is inserted into the backing. On the downside, the rigid nature of the threads makes it easier to see foot marks and vacuum trails. It also makes wear and tears more visible, which means that these carpets need to be replaced more often. Saxony Cut Pile – Saxony pile consist of individual strands standing straight up and down to create a rich, fuzzy surface. The drawback to this style is the fact that those strands can be crushed down by feet and vacuums, leaving impressions on its surface. It is also susceptible to wear and tear, as well as staining. For these reasons, Saxony carpets should only be used in low-traffic areas. Textured Cut Pile – This style is also called “trackless” because it doesn’t show footprints and other marks on its surface as much as other cut piles, like Saxony. No tracks are accomplished by taking individual yarns and twisting them into spirals, which are set using heated steam. The spiral strands do not reflect light as much as straight strands, so it’s not as noticeable when spirals are crushed down. This pile is suitable for mid- to high-level traffic areas. Frieze Cut Pile – Frieze cut pile consists of individual strands that are tightly twisted and kinked, causing them to curl erratically across the surface. Frieze Cut Pile is a highly durable style that tends to hide dirt and wear and is suitable for high-traffic and commercial settings. Plush Cut Pile – Also called “velvet cut pile,” this style features short, densely packed fibers that create a rich and luxurious surface. Unfortunately, the plush cut pile style is somewhat temperamental and is prone to wearing down, scuffing, and showing footprints. It should only be used in a luxurious, low-traffic setting. Kidd’s Cleaning Services can help you with those nasty hard to remove stains. We have the experience, equipment, and technology to remove most stains. If we tell you we can get it out, then we will, that’s our 100% satisfaction guarantee. Typically the longer the stain remains in the carpet, the higher chance of permanent color change, even if all of the original stains are removed from the material. Pet stains result in a bad odor especially when it is hot and humid. The carpet or rug is usually taken outside and immersed in water to remove such stains. Immediately blotting (not rubbing) the stain material as soon as possible will help reduce the chances of permanent color change. Artificial food coloring stains are generally considered permanent stains. These may be removed by professional cleaners or deep cleaning rental machines with heat-transfer stain-reducing chemicals, but carry the risks of burning the surface. Every home should have a stain removal kit for when those unexpected surprises. Here is a good list to get you started on what should be included in your carpet care stain removal kit. Steam Cleaning of carpets tends to produce the best cleaning results for all carpets and all kinds of stains. 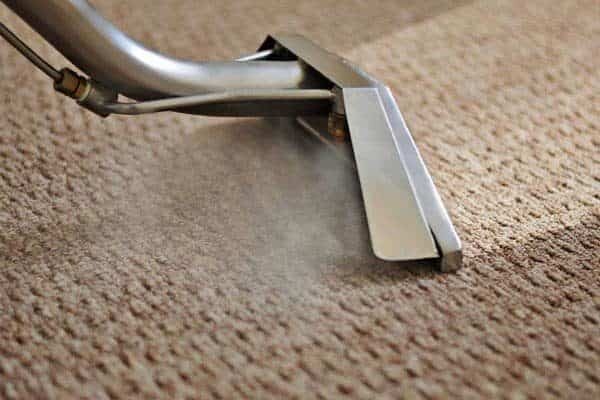 In comparison to other methods, steam cleaning is a deeper cleaning that can extract all the grit, sand and soil wearing off the carpets. What is more, steam cleaning sanitizes the carpets very well as steam kills bacteria and germs. This is why it is recommended to steam clean the carpets at least every 6 months. The process of steam cleaning has several stages. First, the carpets are pre-vacuumed to remove solids, dust, and mold spores. Then, carpet cleaners address visible spots and stains are apply pre-spay solutions. Pre-spay solutions provide pre-conditioning on a carpet loosening and suspending the greasy and oily soils. Without such pre-spraying, steam cleaning will not be fully effective and the oily residue can remain. Then, the main stage of steam cleaning begins: industrial steam cleaning or truck mounted cleaning equipment is used to spay hot water into the carpet and, thus, extracting the dirty water out of it. This procedure leaves the carpet clean and fresh both on the surface and deep in the fibers. After the steam cleaning, a few hours will be needed for the carpet to fully dry. Kidd’s Services also specializes in commercial carpet cleaning. We provide fast, cost-efficient cleaning for any size commercial office building in Lynchburg, Roanoke VA area. Hot extraction, fast drying, Kidd’s Services has you covered as a property manager or commercial facility manager. Our cleaning technicians are clean, wears a uniform and has experience working in buildings with guests. We, at Kidd’s Restoration & Cleaning Services, take cleaning seriously. We have been developing and refining various techniques, devices, and methods to further perfect our cleaning services. 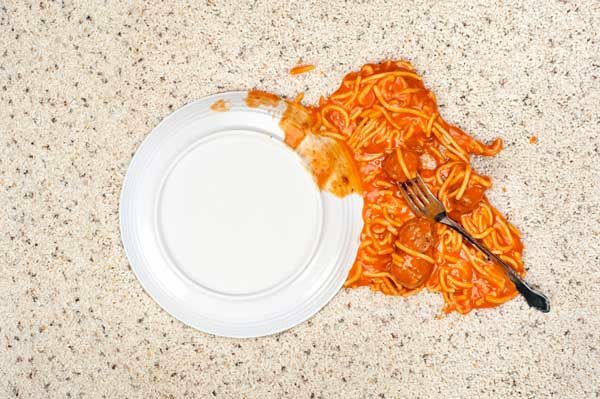 We are well-versed with all types of surfaces, so you can trust our technicians to know what to do with those spills on your fine textile investments. We also provide a 100% Satisfaction Guarantee. So if you are living in the Lynchburg, Roanoke VA or surrounding areas, and need carpet cleaning, call us today.